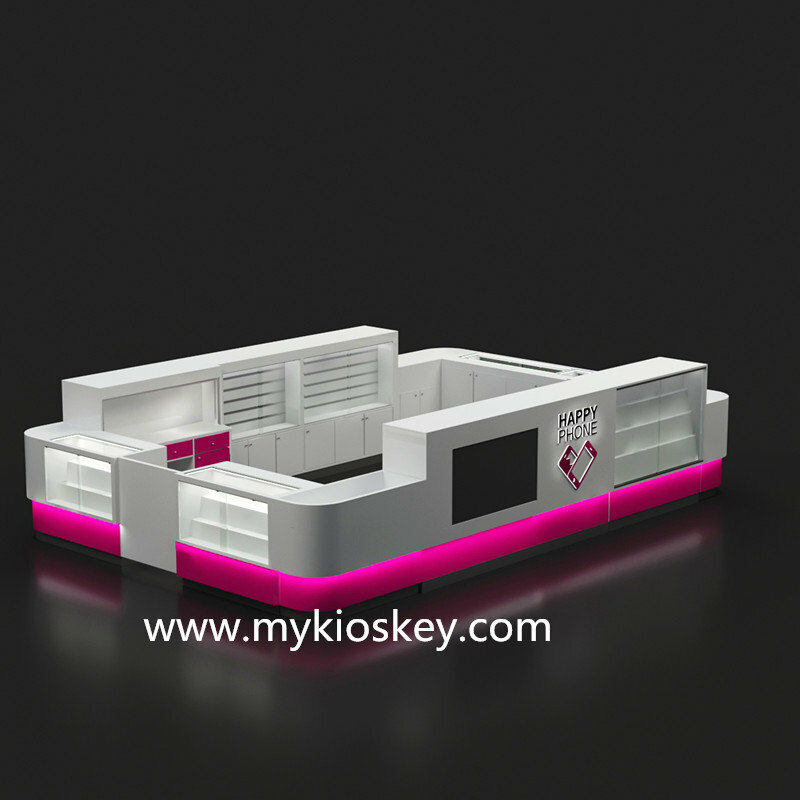 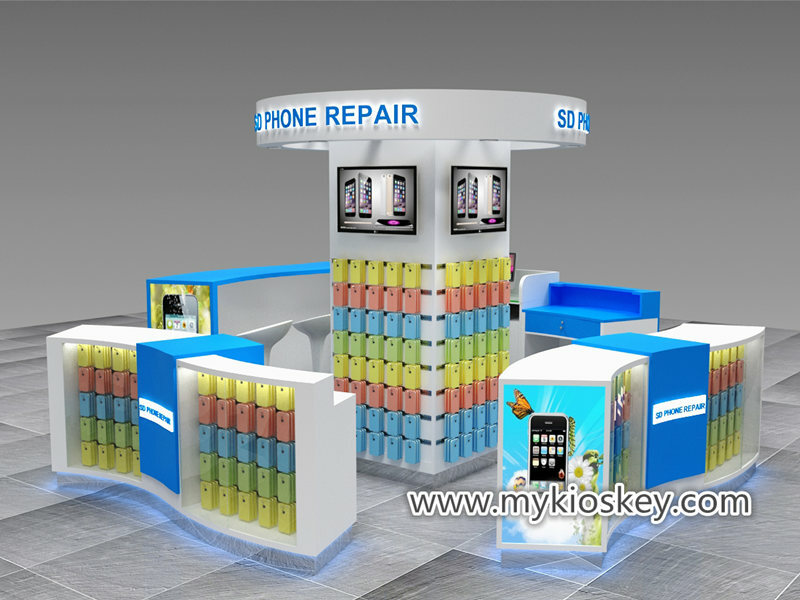 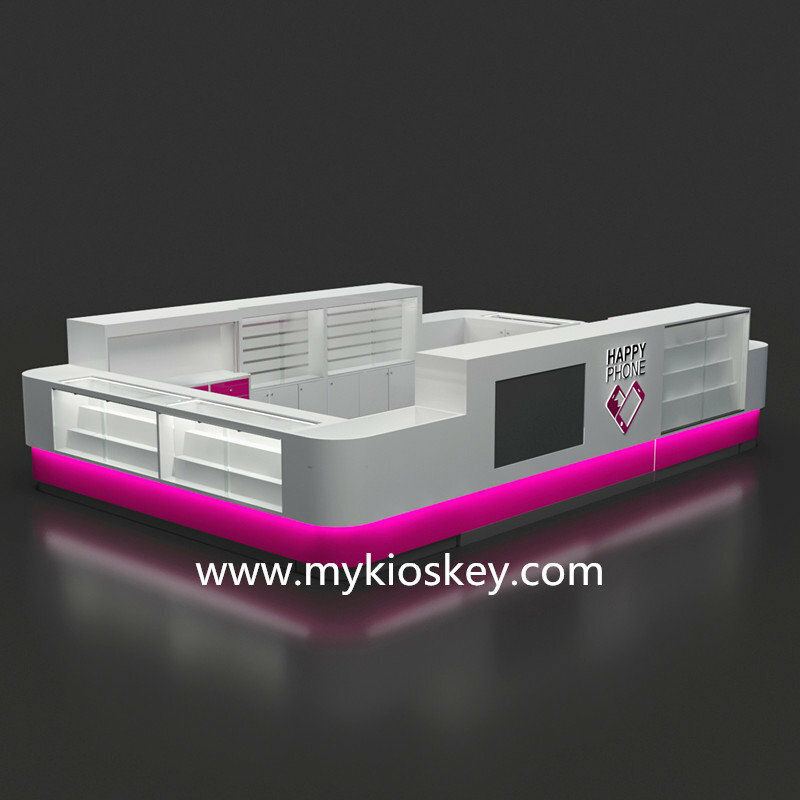 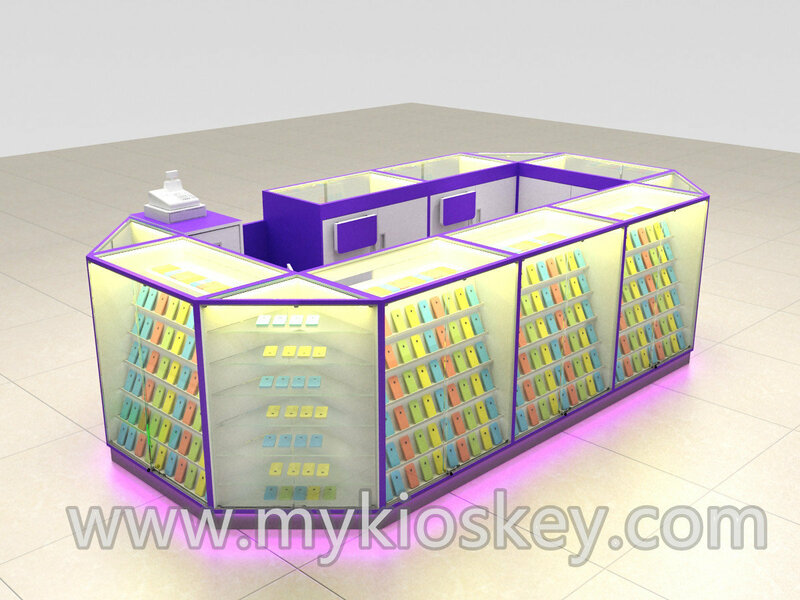 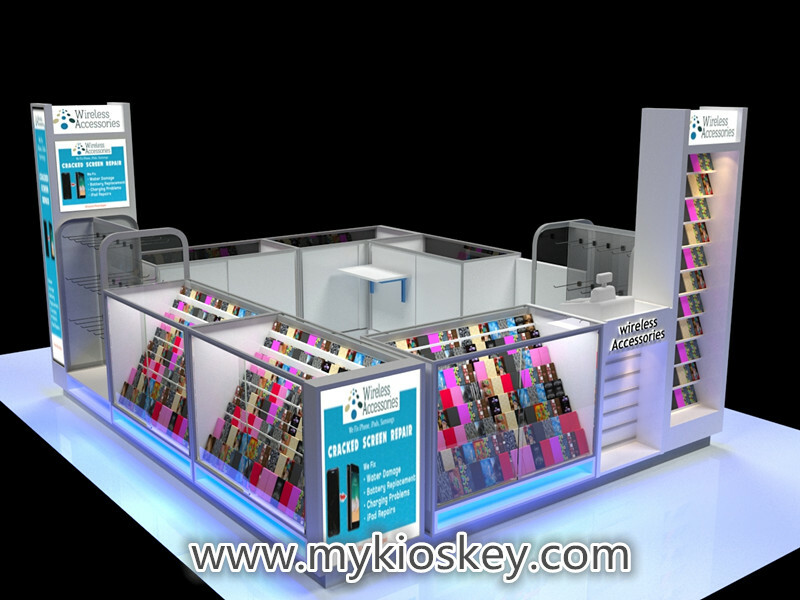 many customers are asking for a mobile phone repair kiosk recently.For a mobile phone repair kiosk,not only style need attractive,also should made full use of space and very easy use. 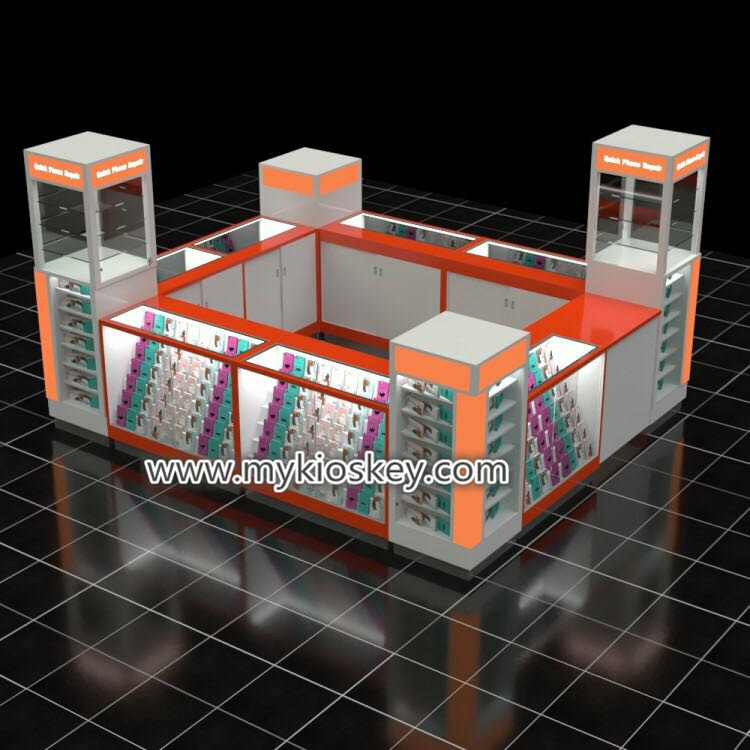 this kiosk just have two color,rose red match white.because client’s logo also this color,so we used these two colors matched his logo. 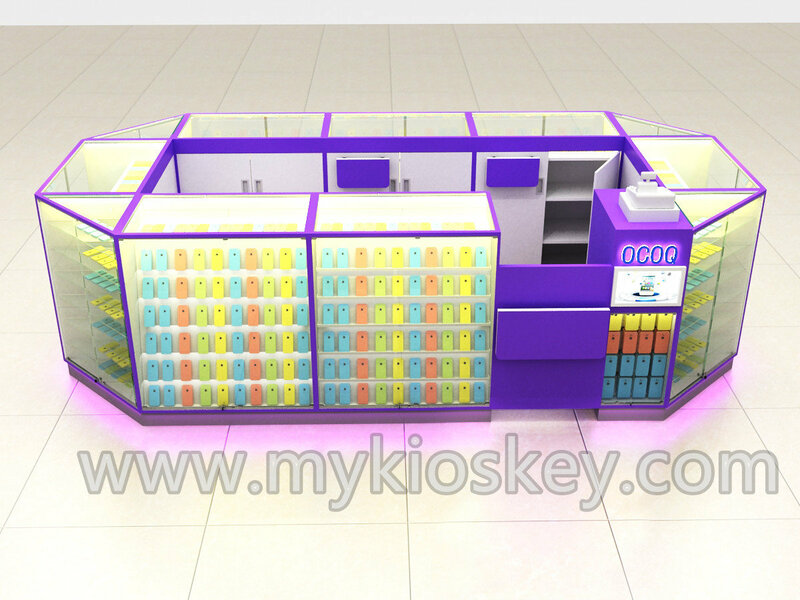 it is 6m by 4m,with a lot accessories displays and two big repair counter.On front and back have two TVS used to display vedio. 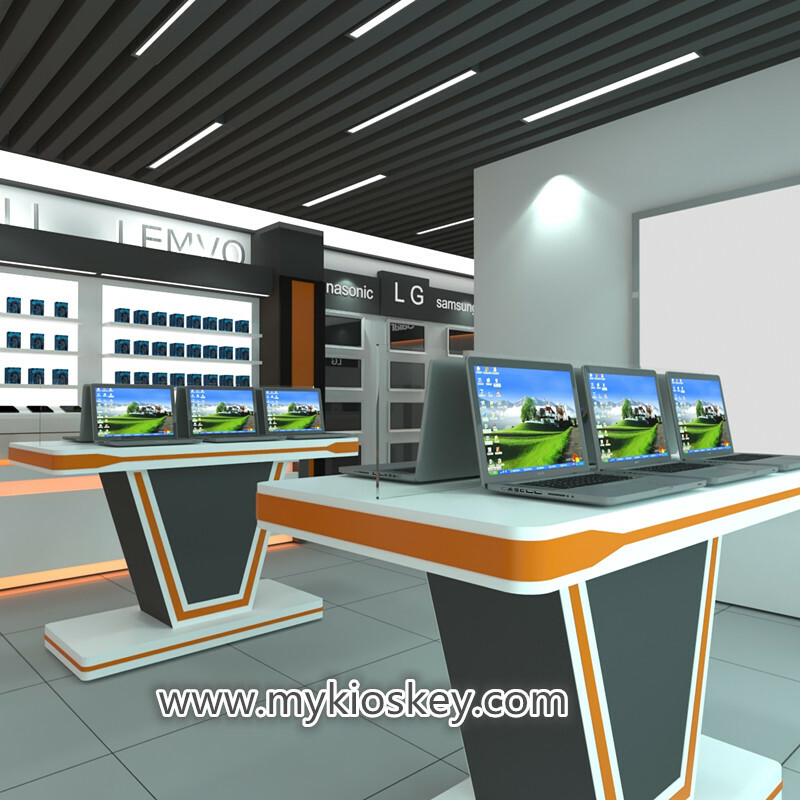 Bottom arounded with led lights,so looks very nice. 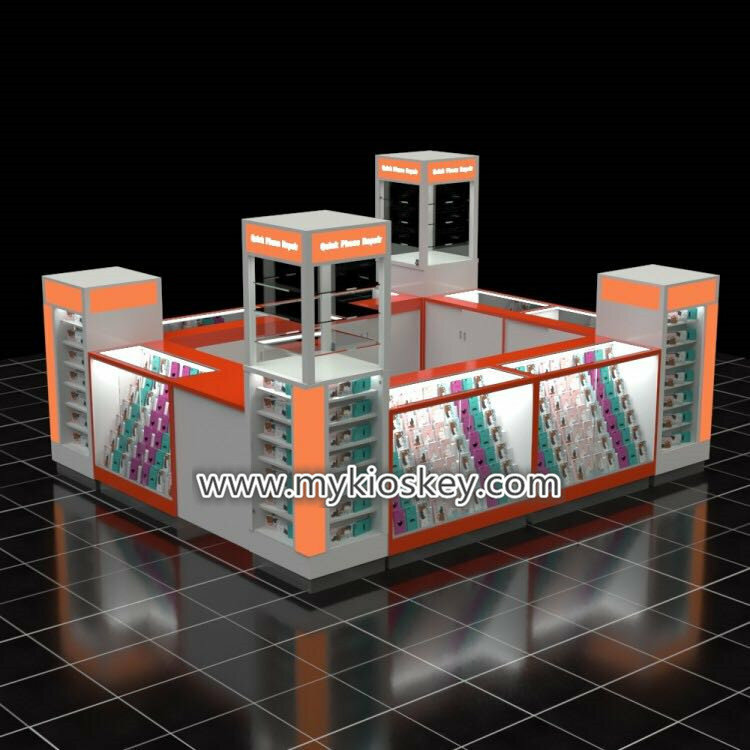 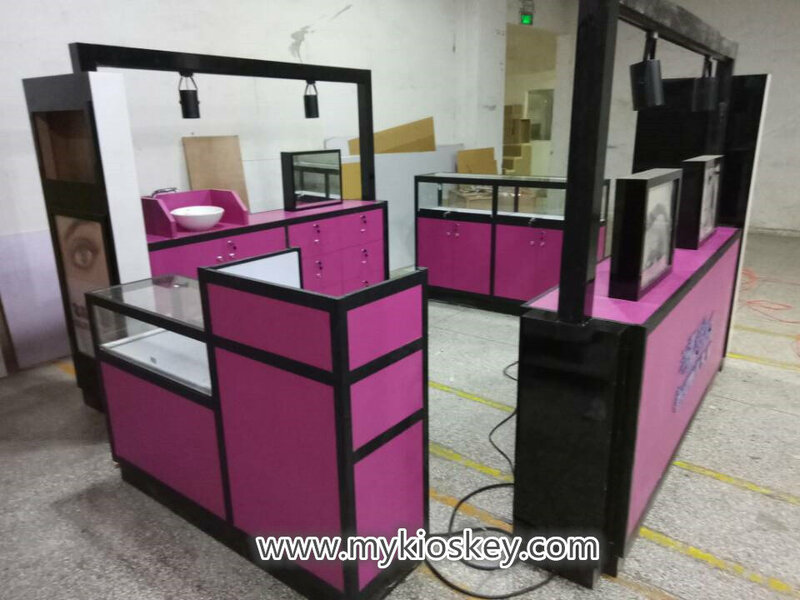 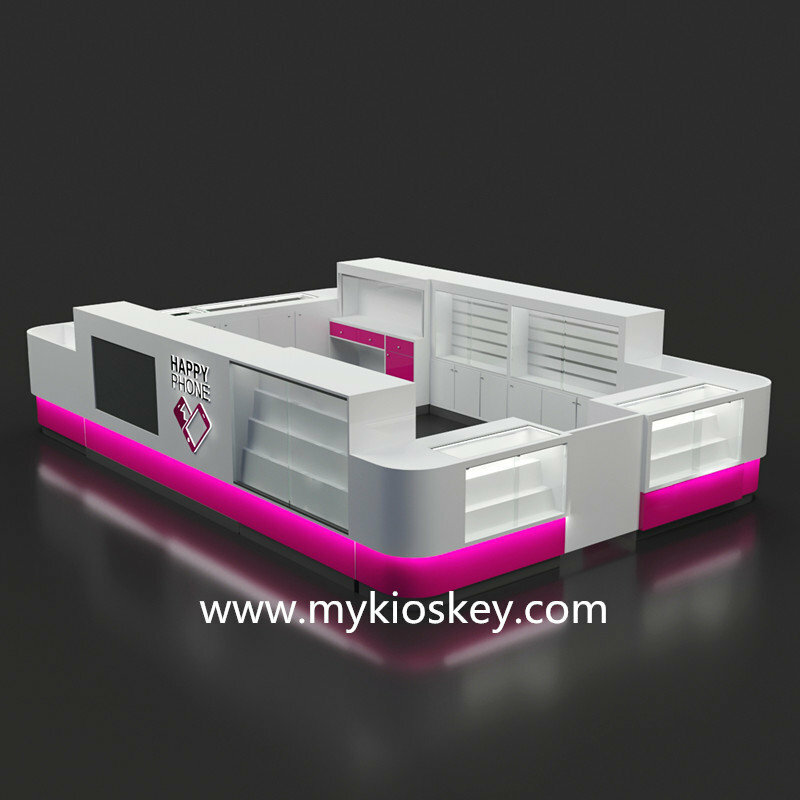 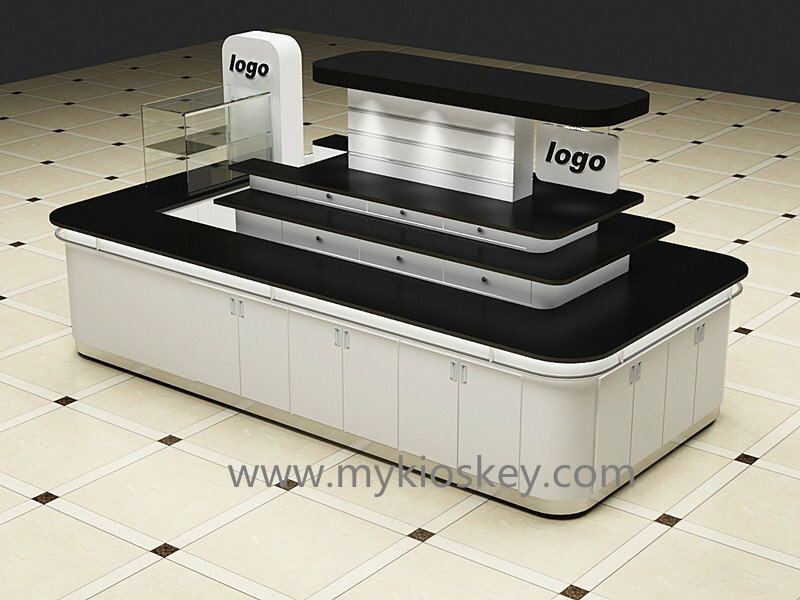 Have you saw the Shutter door?That is used to close the repair counter when night,this did as client’s needs.if you also need,we can add for your kiosk. 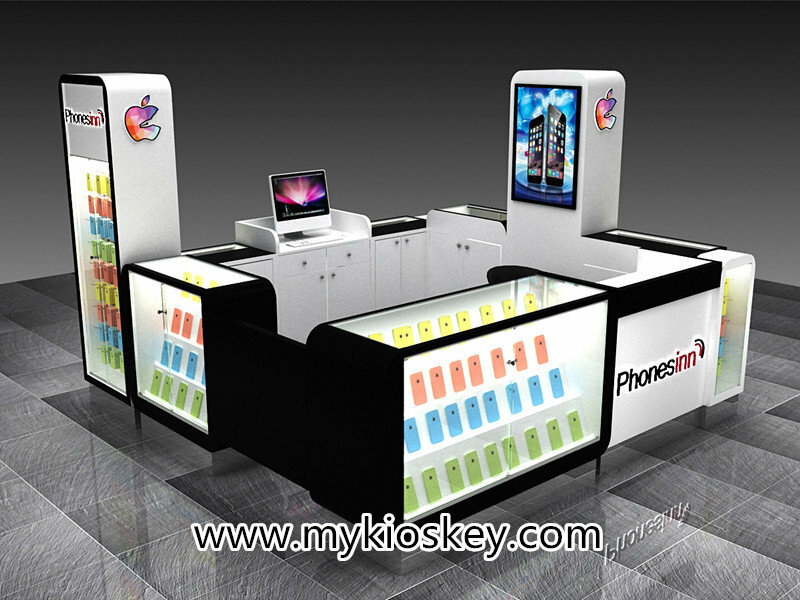 When can finish this mobile phone repair kiosk production? 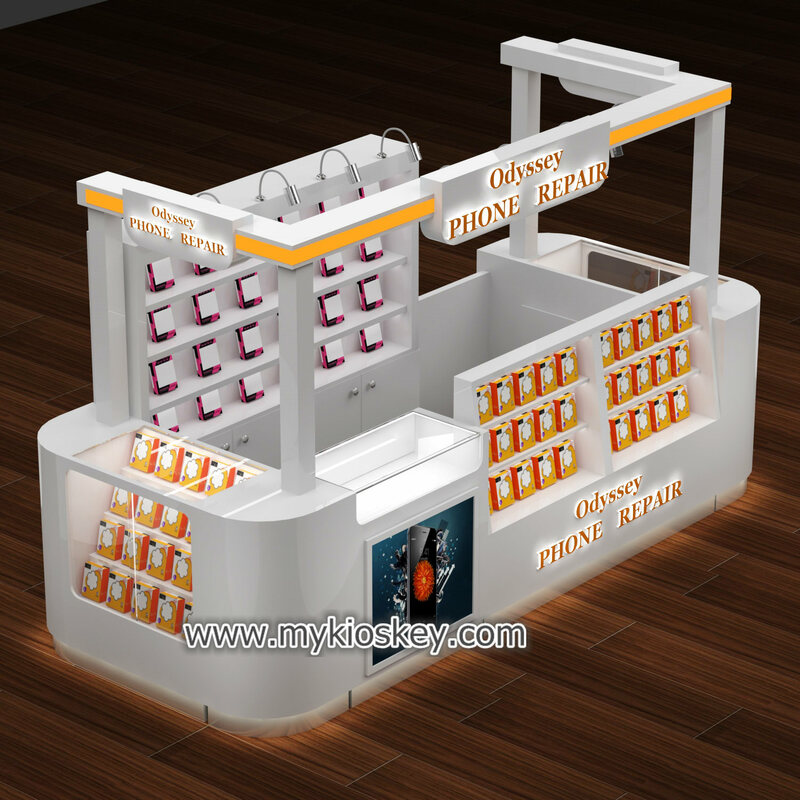 if you are interested in this mobile phone repair kiosk and also want do a mobile phone kiosk for new business,just come here!we have many models can share you to choose,we can also customize a new one for you!